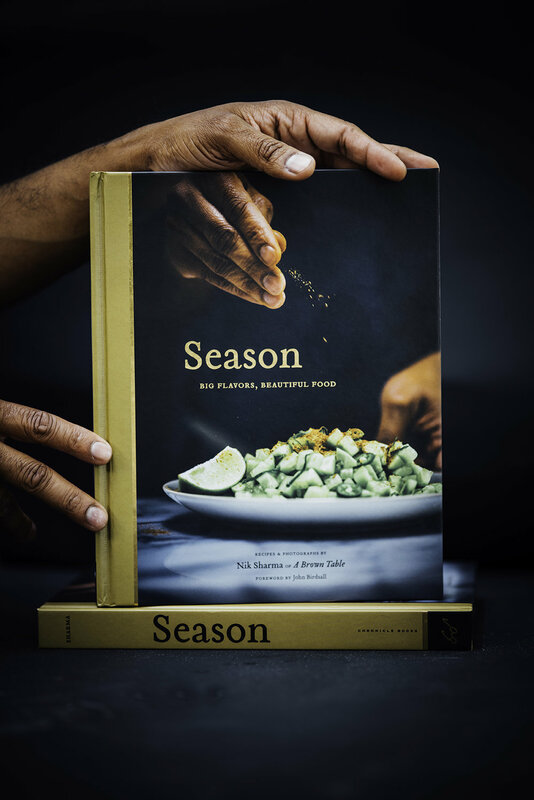 One of the most important questions when you work on a cookbook, regardless of whether you photograph it yourself or someone else does it, HOW DO YOU PICK AND DECIDE ON A COVER? When I first signed on with Chronicle Books, they had me over at their HQ in San Francisco to check the dummy. It really helped me get a sense of how my book might feel and weight in hands. My book designer, Alice Chau is amazing (she's designed several books and one of my favorites is the Gjelina cookbook) and perhaps one of the most talented people I know. A few weeks ahead of our meeting where I got to see the dummy. Alice asked me to list out my top 10 to 12 favorite cookbooks, the ones that I loved for their style and design. And then when we met, we went through an extensive discussion of why I liked and what I liked. It was design therapy 101! She asked a lot of questions and made lots of notes. For the next few months, I went back to working on my book, cooking, testing, writing and photographing. A few months later, Alice came back with the interior design and layout (which we will discuss in the next series of the book diaries) . We had a second design meeting where Alice and my editor Sarah, brought a print out of one of older photos as a sample for the cover. We discussed the type of paper, the feel, the texture. We even discussed fonts, typesets, etc. Things I usually never think about. We hashed out cover idea options that would best represent what the book was all about. The thing with a book cover photo is that it has a lot of work to do. It needs to satisfy certain design and marketing needs for it to work, I also did not want to repeat a photo that was already inside my book and everyone was on board! We decided to pick out a couple of recipes from my book and I decided to photograph this cucumber salad in a few different ways keeping in mind all the suggestions from the designer, my editor and the marketing team. This is the contact sheet which shows you the different photos and version that I came up with! I turned that in , took a break and let them decide. And they selected photo number 3 (the first one in the middle row to the left). When I got to see the final layout, I was ecstatic! I immediately fell in love with the photo they selected and the font layout with the gold foil. It felt special and I was in love. And then last week, I got my advance copy of my first cookbook, you can tell how I excited I am! I shook, trembled, got emotional, it's definitely something I will cherish and remember forever.